Check out the Avid boots from Penny Loves Kenny! 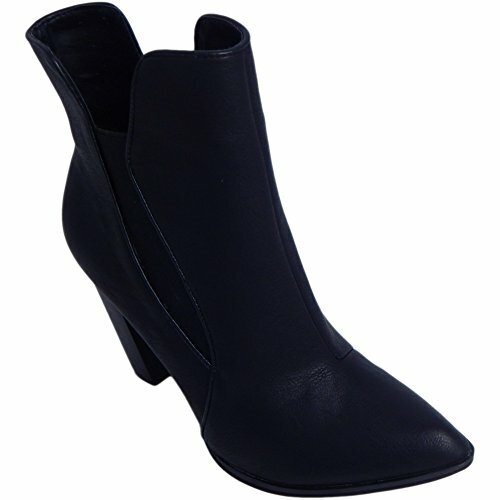 With a chic block heel and a chelsea boot design, these ankle boots will pair with anything from denim to dresses! Spring, summer or fall, this is the trend. Like a little black dress! Features: Faux leather upper, elastic side panels for stretch fit, pull on construction, pointed toe, 3 1/2'' stacked block heel, synthetic sole, imported. Material: Faux Leather, Synthetic.